When you do a side-by-side comparison, actresses consistently earn significantly less than their male counterparts, making for an obvious gender pay gap in Hollywood (not to mention other industries). Patricia Arquette, in her 2015 Oscar acceptance speech for Boyhood, eloquently highlighted this discrepancy and called out Hollywood for not giving equal pay to women. Viola Davis has also been a vocal proponent, as well as Shonda Rhimes, and many, many other prominent women of Hollywood. When the infamous Sony hack happened in late 2014, exposing the pay stubs of stars and Sony employees alike, the gender gap became glaringly clear. When Jennifer Lawrence discovered that she and Amy Adams were making less than their male co-stars (Christian Bale and Bradley Cooper) for their work on the film American Hustle, she penned an essay about it. Charlize Theron was affected too, and was able to renegotiate her contract for The Huntsman: Winter's War once the Sony hack revealed that her co-star Chris Hemsworth was making a cool $10 million more than her. Little victories are everywhere, and the tide is starting to turn... yet Hollywood still has a long way to go toward achieving true gender equality when it comes to both available roles for women and closing the pay gap between the sexes. You might think, "What does it matter? They're making millions anyway." Yet this wage inequality, exemplified by women paid less than men in Hollywood, is symptomatic of a systemic problem, affecting women in various occupations across the board. A mini-controversy erupted in January 2018 over the pay gap between Michelle Williams and her All the Money in the World co-star Mark Wahlberg. During re-shoots for 2017 crime thriller All the Money in the World, Williams received less than 1 percent of Wahlberg's wages. To make amends, Wahlberg announced he would donate his $1.5 million re-shoot fee to the Time's Up legal defense fund in Williams's name. Williams later made a statement expressing gratitude to Wahlberg, as well as all the men and women who had spoken out about sexism and sexual harassment in Hollywood. 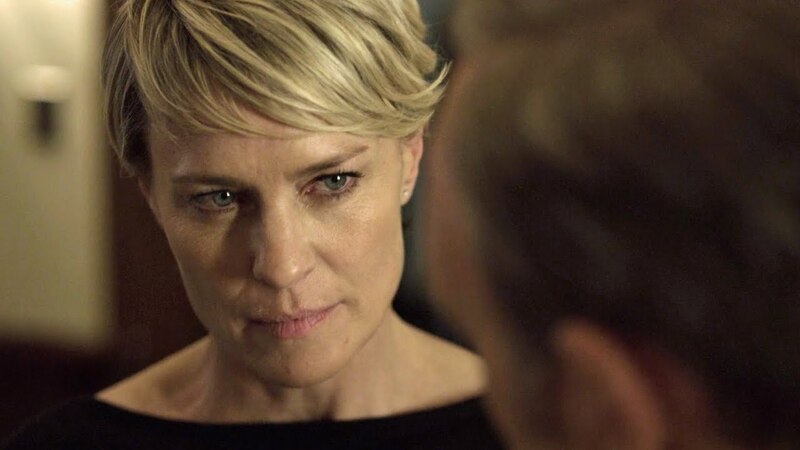 In 2016, Robin Wright finally negotiated for equal pay on the critically acclaimed Netflix drama House of Cards. In 2014, Kevin Spacey, who plays Wright's calculating husband Frank Underwood on the show, made $500,000 per episode. That made him one of the highest paid actors on TV. Wright, however, was not paid as much, despite winning a Golden Globe for Best Actress that year. When salary negotiations began for the 2016 season, Wright threatened to go public with the pay inequality if her earnings did not mach Spacey's. It helped that she'd recently learned that her character (Claire Underwood) was as popular with viewers as Frank. "I was like, ‘You better pay me or I’m going to go public,’” she explaiend. "And they did." Disney insiders reported that Harrison Ford earned between $10 million and $20 million to reprise his famous role as the swashbuckling hero Han Solo in Star Wars: The Force Awakens, a reported 50 times more than co-star, Daisy Ridley. #22 on Who Is America's Sweetheart in 2018? #26 on Which Actress Do You Think Will Be The Next Meryl Streep?